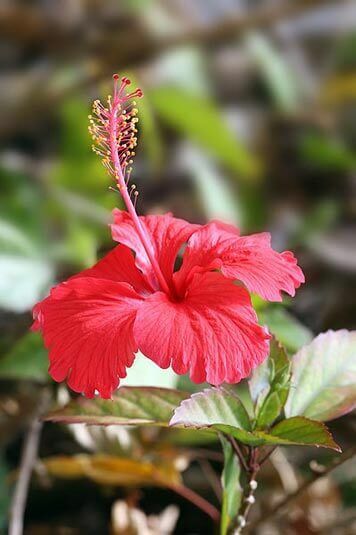 Hibiscus is a genus of the mallow family, Malvaceae. With over 200 species, the Hibiscus can be found in many tropical and sub-tropical countries. Its origin is still unknown. This species is grown for it's showy flowers and is used for its shrub like qualities. In the Caribbean, the Hibiscus is used in herbal teas, jams and as a vegetable. The species we have on offer here are not for this purpose.